Interested in cultivating your own food? Join us for our annual Grow Your Own Produce Workshop Series! Many of us are looking forward to warmer weather, longer days, and the opportunity to get our hands dirty in the garden. New gardeners may be looking for resources to learn how to plan and create a vibrant garden. While experienced gardeners seek to get expertise and questions answered. All are welcome to the Grow Your Own Produce Workshop Series where they will learn to develop their own Permaculture Gardens! What will new gardeners & experienced gardeners walk away with from your Permaculture Series? Each month, we discuss the key things to do in the garden to help keep us on track with the seasons. New gardeners will find the information on when to plant and how to tend to your plants each month as a valuable guideline to help them learn how to have a good harvest. By gathering together each month, I provide "bite sized" information to help new gardeners avoid being overwhelmed by the vast amount of possibilities in the garden. Experienced gardeners seem to always find something new that they learned in each class. This is why some people choose to take the series more than once! Experienced gardeners enrich the discussion by asking more advanced questions and providing insight based on their experience. This helps our class understanding deepen into the differences that we may experience by having different microclimates in our yards and living in different microclimates of our region. We have enough time for everyone to get their questions answered. This allows for customized information to support participants in their gardening endeavors. There are so many things to consider in the garden that there is always something new to learn. From reading the landscape, proper harvest techniques, varieties bred for our region, pests & diseases, and how to develop a resilient garden in an unpredictable climate, we cover many different topics in the garden throughout the workshop series. What are some of the highlights and not-to-miss moments of your series? The first class helps students with site analysis. We go over how assess the offsite influences (sectors) and microclimates on your site. Offsite influences and microclimates can help us identify how to develop a garden layout that matches our unique considerations of our site. We also talk about how to design a garden based on your relationship with your landscape. These considerations help us enhance our localized conditions to put the right plant in the right place. I consider each class to have highlights, depending on what each participant wants to learn most. Each month, we cover the top vegetables for the month and there is a theme for each month. I love talking about how to build soil, edible flowers, saving seeds, and food preservation. Many people find the section on pests and diseases to be very useful. The classes in July and August are outdoors. We have a field trip to look at and taste various berries that one could grow in their garden. In August, the class is at my house and we cover Seedsaving and the Winter Garden. This class actively teaches each student how to save seeds with hands-on activities. September's class also has a hands-on component. In September, we talk about Putting up the Harvest and actively do some fermentation and dehydration during the class. Why are you passionate about growing food? My connection with my landscape helps me inhabit my home. Dancing with life in this way is our birthright. It is a beautiful way to practice coming home to planet earth, Cascadia bioregion, Woodstock neighborhood. By having a diverse landscape outside my door, I feel in touch with the seasons. I recognize the birds that visit at various times of the year and I get to know what they like to eat and where they like to be. I love the seasonal harvest cycle. I find that I look forward to the new crops as the wheel of the year turns. Gardening is an activist practice. By stewarding my soil and eating local food, I know that I am reducing my impact on other lands. Food is one thing that all people need to live. By developing a practice of gardening, it enhances my resiliency and helps me have information and surplus to share with my community. I grow many diverse types of vegetables and fruit and I also grow my own medicine. My surplus medicinal products are available to my community when they need some support from our herbal allies. I know that my home garden is doing it's part to protect pollinators, both the European honeybee and the native bees through diverse flowers and seasonal blooms. This opening session will focus on garden planning and design. From the Macro perspective to the microclimate, we will discuss Permaculture design strategies that can maximize your yields and diversity of crops throughout the season. Fruit trees, berry bushes, and other large landscaping elements will be discussed as the framework for creating the context for your space. Each participant is encouraged to come with a base map of their site. Please contact Marisha if you need support before class to have this available. In March, it is time to begin planting seeds both outdoors and indoors. This session will focus on those early plantings and the varieties that perform best for our climate. Perennial vegetables can be transplanted at this time. Since many perennial vegetables are new to gardeners, Marisha will share about growing and cooking some of her favorite types. Seed catalogs and other resources will be available as references for each participant to make a personalized planting calendar. April is a key time for all of the Cole Crops, such as Broccoli, Kale, Cauliflower, Collards, and Cabbage. It is also a time of planting greens. As many plants are being planted in the garden during this month and the months to come, we will highlight soil building strategies in this class. In May, the weather typically gets warmer and many flowers begin to bloom. We will discuss reliable varieties of warm-season crops to grow in your garden and ways to maximize microclimate and production. Many of these plants require insects for pollination. You will learn about pollination, pollinator insects, and flowers that are useful for attracting these special critters. Many of these flowers have multifunctions. We will highlight edible flowers, their functions in landscapes, and recipes. June completes our planting of the summer vegetable garden and then it is time to focus on maximizing the harvest. For the urban gardener, this may mean optimizing a small space to produce as much food as possible. We will discuss strategies for optimizing yield of your vegetable crops throughout the growing season. We will highlight the best types of trellises for plants that like to grow up. This workshop will focus on different types of fruiting crops that are available right now. We will taste different varieties and discuss recipes and ways to put up the harvest of berries. We will talk about water catchment and how to determine what type of system would work best for your household. Handouts will include a to do list for the month, herbs for tea, and other pertinent information. In August, it is time to save seeds. The weather has been dry and many plants are ripening their seed. This workshop will cover the basics of saving seed and offer you the opportunity to gather some hands-on experience. August is a key month to get many starts in the ground for harvest in the winter and early spring. This class will highlight what is happening in the garden in August, how to preserve your harvest and prepare for the coming month. The abundance from the garden and orchard is coming in and it is time to put it up for storage in the winter. In this class, we will discuss the key ways to store food for the winter including canning, dehydration, fermentation, & freezing. A key component of this class will be focused on how to assess what your family will eat in the winter and the space that you have available for storage. The last of the winter crops should be in the garden by Equinox so we will cover the last of the plantings. As always, this class will highlight what is happening in the garden in September, how to preserve your harvest and prepare for the coming month. Handouts will include a to-do list for the month, information on canning and food preservation, and other pertinent information. October is a time for returning inward and thinking about nourishing the soil for the future garden. This class will highlight soil building method including mulches, composting, leaf mold and more. We will discuss types of cover crops for building soil tilth and fixing nitrogen. Garlic goes in the ground this month for summer harvest. We will talk about the different types of garlic and best varieties for our region. As always, this class will highlight what is happening in the garden in October, how to tend to your garden, and prepare for the coming month. Handouts will include a to-do list for the month, information on soil building methods, and other pertinent information. In November, the weather has become cold and the garden has been put to bed. However, the birds, insects, and other critters still need habitat to keep them around. During this class, we will discuss ways to encourage these allies to stick around in your garden. By having active food webs in the garden, we invite collaboration and enhance fertility cycles on site. As this is our final class for 2018, this class will provide juicy information to help you begin planning for the 2019 garden season. 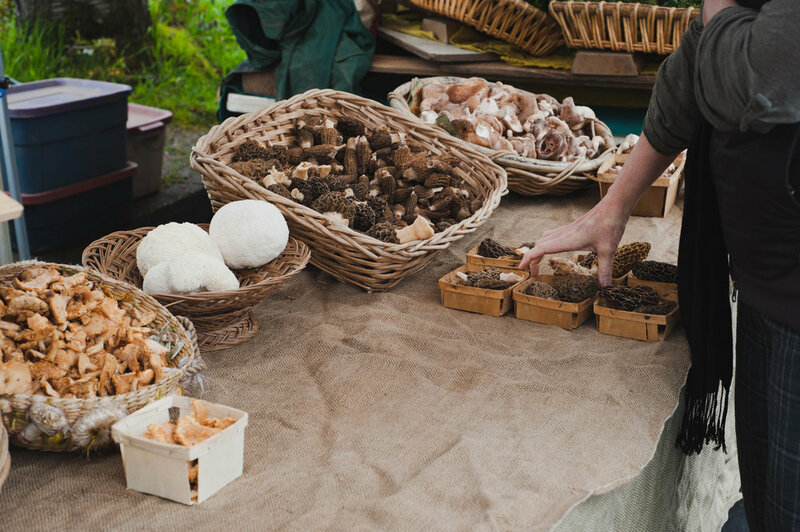 We will also highlight nourishing soup recipes from local herbs, veggies, and stocks. As always, this class will highlight what is happening in the garden in November, how to tend to your garden, and prepare for the coming month. Handouts will include a to-do list for the month, information on wildlife, soup recipes, and other pertinent information. People’s is special. In an industry aiming to squeeze every dollar out of every customer and sell you things you don’t need, our goals are a little different. We’re here to serve our community great food grown in a way that’s environmentally sustainable and cares for the land and the people that grew it while working to find prices that work for producer and consumer. We’re here to cultivate a passionate community and to talk about the values that bring us to this particular food store. We can do all of that because of our Member-Owners: folks who care about what we’re doing together and want to see this place thrive. Investments from Member-Owners are what help us take care of this building, invest in new equipment and programs, and are positioning us to grow our Co-op and our impact with the long-term plan. $15+ Get an Equal Exchange Chocolate Bar! $60+ Chocolate + Tea Towel + a Chinook Book! The first fifty folks that make an investment in their share get a free bottle of co-op grown and made La Riojana Olive Oil! Every Sunday in October, we’ll have a really awesome raffle! Everyone who makes an investment in their share will be automatically entered (but you don't have to make an investment to be part of the raffle). In your Grassroots, you got a special coupon along with your quarterly 10% off. Write your name and Member-Owner number on the card, hand it to a friend who you think should become a Member-Owner, and when they do you'll both get $10 gift cards! We're also having a ton of great events to celebrate the Co-op and our Member-Owner, from awesome sales on staff favorites to a community potluck. Check out all our upcoming events here. The full price of a share in the Co-op is $180, but Member-Owners get all the benefits of membership as soon as they invest $30 in the Co-op. Member-Owners can actually invest up to $300 at the Co-op, so if you’re already at $180 and want to support the Co-op a little extra you can still get this year’s great incentives. I strongly believe that community cohesion and collaboration will bring about a future where we can all thrive. When we come together we are more aware, more creative and wiser -- which is why I invest a lot in community organizing. I feel extremely fortunate to be a part of two of Portland’s oldest, most democratic and ground breaking communities: our very own People’s Food Cooperative and KBOO Community Radio. I have been a Member-Owner of People’s for five years and have been a Hands-On-Owner just as long. Our Ends Statement declares that we are "a passionate community working together for a safe, welcoming community where all are valued." I truly believe that in order to reach this End, we must intentionally create opportunities for dialogue and for learning within our community. This weekend, I will be helping co-facilitate an Info Session during which we will create a common language and commitment for addressing how oppression shows up at People's and how we will interrupt. 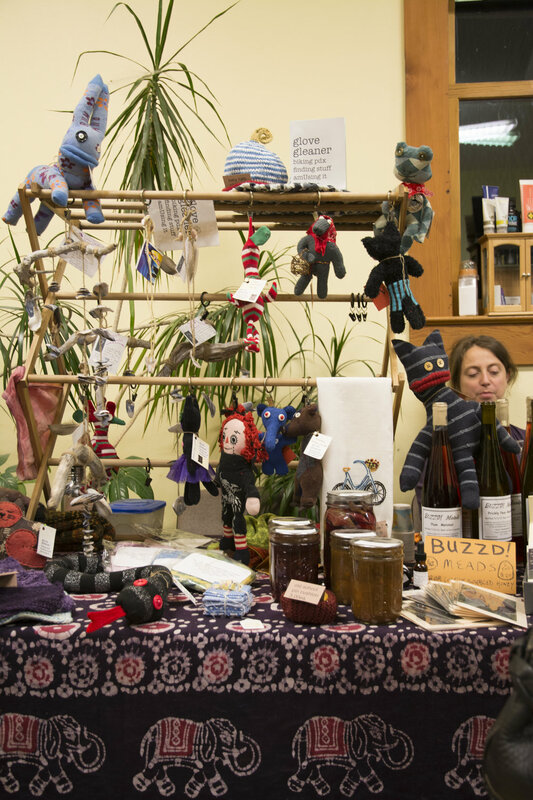 I am currently involved with a similar effort at KBOO that I would like to tell you about. I have been a community journalist for the last ten years because community radio has introduced me to the power of people-powered independent media. At KBOO, community members like you and I produce, host, investigate, report, research and fact check every story or piece of music that is broadcasted through the air. For almost fifty years, KBOO has strived to create a space for a diversity of Portland communities to come together to express their talents, doubts, and progressive perspectives. 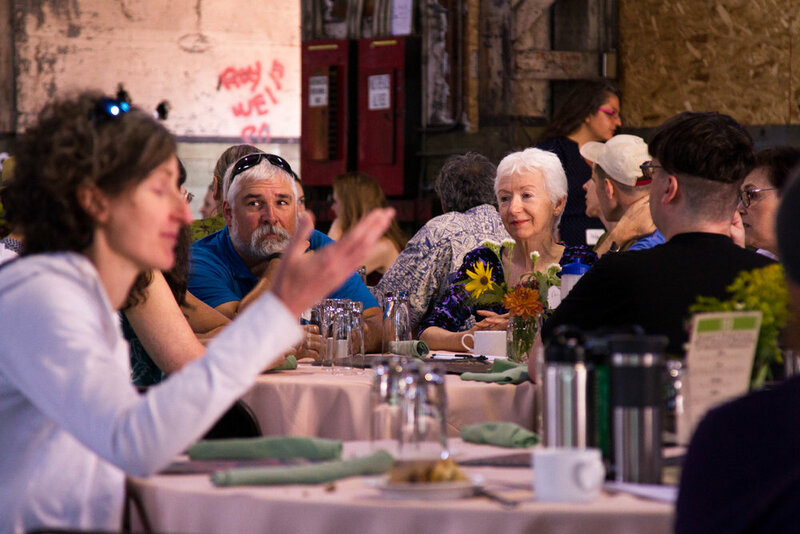 Building a safe, welcoming and just environment has always been at the forefront and for the last three years, under the leadership of Monica Beemer, KBOO has been engaging in dialogues around creating a Beloved Community. The Beloved Community concept popularized by Martin Luther King, Jr. has given KBOO a framework for ensuring we intentionally create space for dialogue amongst KBOO community members so our radio station continues to flourish as an egalitarian space for creative collaboration. To do that, we first started offering quarterly trainings for staff, board members and key volunteers on anti-oppression issues with a focus on how these oppressions show up at KBOO and what we can do to address them. These training opportunities soon gave birth to a group that has met monthly for the last two years to study oppression and anti-oppression strategies as well as to practice interrupting oppressive behaviors. This monthly group then proposed the creation a workshop for all KBOO volunteers to learn about oppression and practice using love, compassion and humility when interrupting other community members or when taking accountability for your own behaviors. Since last August, over a hundred KBOO volunteers have attended an Anti-Oppression 101 workshop and more will be trained every month. The monthly anti-oppression discussion and action group also continues to meet. Though it is hard to admit that oppression happens in our community, we must realize how much we have been programmed to accept the racist, sexist, homophobic, size discrimination, ableist, (and the list goes on) realities of our current society. Unless we learn and reflect on the subtle ways we perpetuate oppression, change will never come. The good news is that we are a community, and therefore we are more aware, more creative and wiser together! 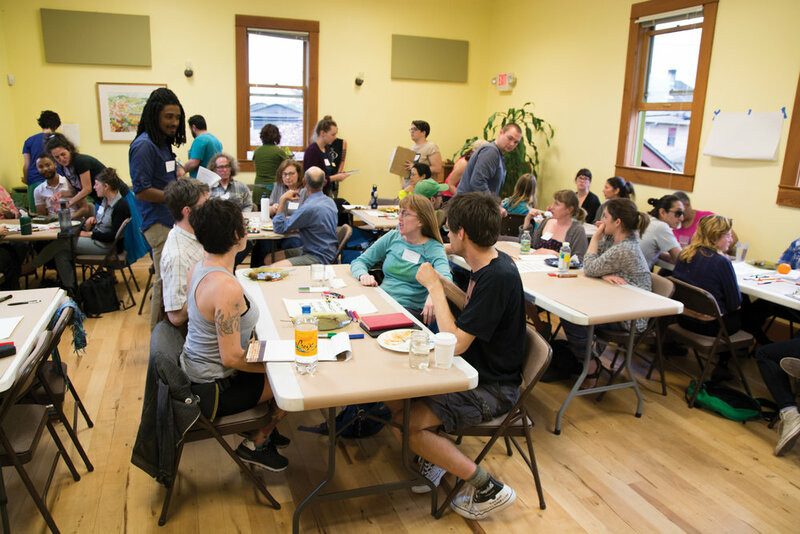 At KBOO, the opportunity for volunteers to learn from each other has strengthened our community. I look forward to seeing how monthly conversations at People’s can help us grow as well! Get all the details on the event page, linked below. I, for one, don't feel entirely prepared for this weekend. It would seem like I should have had plenty of time to prepare for the reality of Donald Trump's inauguration, but there are things that I thought would have happened by now. I thought I would have figured out what form my resistance would take these next four years: done more organizing, had more tough conversations, stood up more for people I care about, planned more ways for the People's community to gather around our Ends and talk about what they mean to each of us. But I still feel caught off guard that this — what the past few years of campaigning, the election, and month of appointments have been leading up to — is happening. Maybe you feel similarly unprepared. Maybe you are ready to stand up for your values. Maybe you're scared. Maybe you feel ambivalent. Or some combination of those, or none of them. However you feel or whatever this weekend is to you, we want the Co-op to be a resource. We've planned some events (find the details below! ), are hosting round-up donation drives at the register for Unite Oregon, Planned Parenthood, and 350PDX, and are going to have free tea on hand all weekend. If you have ideas for how the Co-op can be a beacon of justice, hope and light in the years to come, please don't hesitate to be in touch with me. Just email sofie@peoples.coop. Round up at the register for Unite Oregon, which works to build a unified intercultural movement for justice across Oregon. People's will match donations up to $200. Join us during the presidential inauguration, as we take this opportunity to sit in stillness and ceremony. Together we can use the chaos and unrest we feel on the planet, as a vehicle for great change. In the ancient Andean traditions of Peru, a despacho is a ceremonial offering to Pachamama (Mother Earth) and spirit, or the organizing principles of the universe. You could perhaps think of it as a focused, formal way to "dispatch" or "ship" your prayers off to the powers that be. The intention of this ceremony is for personal and collective healing. To bring us back into "Ayni" or a right relationship with all life. Using our gratitude to steer our collective journey in the direction of the greatest good for all. Everybody will have the opportunity to add their prayers to the Despacho (all the supplies will be provided). Afterwards Rami will take the despacho home to be burned in a fire ceremony. Come sit with us, and create some time in your day to just be. Free and open to all! RSVP on Facebook. Lead by Rami Abu-Sitta, a Portland-based Shamanic practitioner, trained in the Incan healing tradition of the Andes by Alberto Villoldo Ph.D and The Four Winds Society. In his healing practice he works one-on-one with clients to help them correct toxic patterns, and release the energy of the past, so that they are free to move in a new direction. Come make signs for the Women's March, other marching, your yard, your window, or any other sign needs that you have. Materials, snacks, and inspiration will be provided. You're certainly invited to bring your own sign materials and slogans, too. RSVP on Facebook. Round up at the register for Planned Parenthood Columbia Willamette, which offers essential health care services in our region. People's will match donations up to $200. Before we hit the streets for the Women's March, let's take a moment to come together to center, ground, and use our infinitely powerful creative minds to affect change on psychic and energetic planes. We will visualize and send healing light, speak affirmations of protection, hold space for each other to share and process, and join our hands and voices in unified, improvised, cathartic, atonal song (it feels really good). This will be love-based, heart-centered magic, and our circle is open to all beings. Free and open to all! RSVP on Facebook. Lead by Johanna Warren, a local songwriter, Reiki master and herbalist. She is the founder and facilitator of the Portland chapter of Moon Church, a lunar coven of female, trans, queer and nonbinary people exploring and breathing new life into the archetype of the witch. Round up at the register for 350PDX, which words to address the causes of climate disruption through justice-based solutions. People's will match donations up to $200. Have you been wanting to start a garden, but don't know where to start? Are you a seasoned gardener looking to incorporate some more permaculture techniques? Either way, you're in luck! Marisha Auerbach of Permaculture Rising is back in the Community Room this year with a full series of permaculture class. Each of the ten monthly class focuses on a seasonally relevant topic, from planning to growing to maintaining to harvest. You can register for each class individually for $25 each, or get in on five classes for $100. Better yet, People's Member-Owners get 20% off classes -- just be in touch with Marisha to get the discount code. These classes are available as a five class series ($100) or as individual events ($25 each). 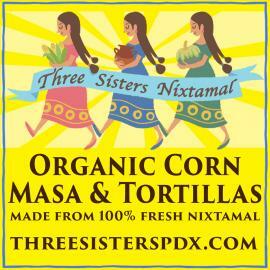 20% off discount for People's Food Coop members -- just be in touch with Marisha to get the discount code. For more information, or to register, email Marisha Auerbach or call (503) 454-6656. In May, the weather typically gets warmer and many flowers begin to bloom. We will discuss reliable varieties of warm season crops to grow in your garden and ways to maximize microclimate and production. Many of these plants require insects for pollination. You will learn about pollination, pollinator insects, and flowers that are useful for attracting these special critters. Many of these flowers have multifunctions. We will highlight edible flowers, their functions in landscapes, and recipes. In August, it is time to save seeds. The weather has been dry and many plants are ripening their seed. This workshop will cover the basics of saving seed and offer you the opportunity to gather some hands-on experience. August is a key month to get many starts in the ground for harvest in the winter and early spring. This class will highlight what is happening in the garden in August, how to preserve your harvest, and prepare for the coming month. The abundance from the garden and orchard is coming in and it is time to put it up for storage in the winter. In this class, we will discuss the key ways to store food for the winter including: canning, dehydration, fermentation, & freezing. A key component of this class will be focused on how to assess what your family will eat in the winter and the space that you have available for storage. The last of the winter crops should be in the garden by Equinox so we will cover the last of the plantings. As always, this class will highlight what is happening in the garden in September, how to preserve your harvest, and prepare for the coming month. Handouts will include a to do list for the month, information on canning and food preservation, and other pertinent information. In November, the weather has become cold and the garden has been put to bed. However, the birds, insects, and other critters still need habitat to keep them around. During this class, we will discuss ways to encourage these allies to stick around in your garden. By having active food webs in the garden, we invite collaboration and enhance fertility cycles on site. As this is our final class for 2017, this class will provide juicy information to help you begin planning for the 2018 garden season. 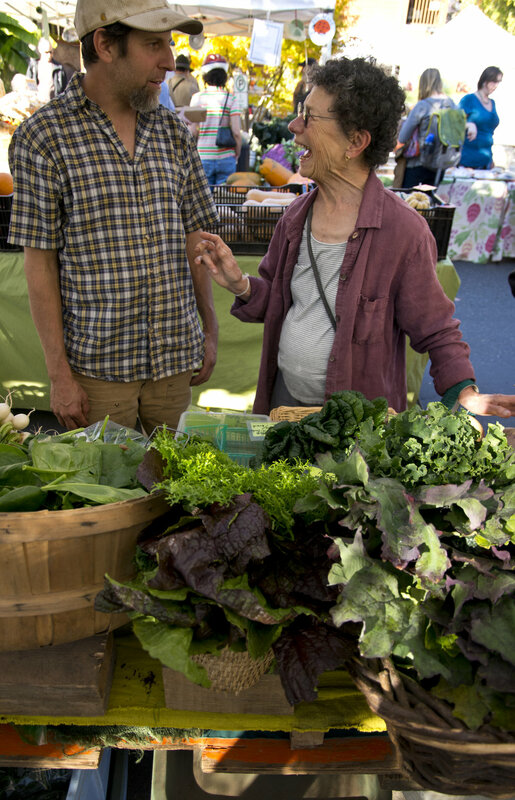 We will also highlight nourishing soup recipes from local herbs, veggies, and stocks. As always, this class will highlight what is happening in the garden in November, how to tend to your garden, and prepare for the coming month. Handouts will include a to do list for the month, information on wildlife, soup recipes, and other pertinent information. All the baskets are called for, but you can still fill out the application to be placed on the waiting list. For those in our community that need support this November, People’s Food Co-op and some of our vendors have partnered to provide 80 free vegetarian food baskets. Basket pick up will be on Wednesday November 23rd from 4-7pm. Only 80 food baskets are available. Baskets are limited to one per household. After the 80 are spoken for, we will start a wait list. You will be notified by Thursday, Nov 17th if you will receive a basket. Sign-ups are recorded in the order they arrive. Basket pick-up will be in our Community Room, located up a flight of stairs. There is an elevator available if you need it – just let a cashier know that you need to use it and they will help you. Basket contents may change slightly. Big thanks to our generous vendors that donated! We couldn't do this without them. Introducing: Humans of Color Yoga! When people think of yoga they usually think of the physical practice of yoga, or Hatha yoga, but there are actually six distinct branches of yoga in the Indian tradition. I have been practicing yoga in one form or another most of my life. As a movement instructor I have been studying body awareness and movement for 20 years, but only in the last 5 years have I enjoyed and felt truly centered in Hatha yoga. This was inspired by an encounter with an older woman of color who practiced yoga. This woman was beautiful, strong and centered in her body and I was inspired! I had never been exposed to an instructor of color except in yoga books, where they were primarily Indian men. When we talked I explained to her my disconnection to hatha yoga as practice. She then explained to me that there are many styles of hatha to choose from and that my exploration was part of the journey of finding a practice that was in harmony with my center. That moment changed my life. Her presence showed me that anyone could be a yogi. This is the kind of experience that I hope to share through Humans of Color Yoga at People’s. It is important for humans of color to be able to investigate what it means to be in their skin in a safe and supportive environment, and the aim of the class is to provide a place for them to do so. Ayomide Njo currently teaches dance at Portland Community College. You can also find her every Wednesday at The Co-op teaching Kaleidoscope community yoga. When not teaching movement she is busy raising a teen, creating art and bridging communities.